I had intended to do some mechanical work on the bike, before putting her back on the road for the summer, but as some of the parts are on back order and I have since discovered the repairs are not as necessary as I first thought, I got a WOF and am mobile again. Last weekend we rode to Ashhurst and had lunch at the Arosta Cafe. Good service and good grub. 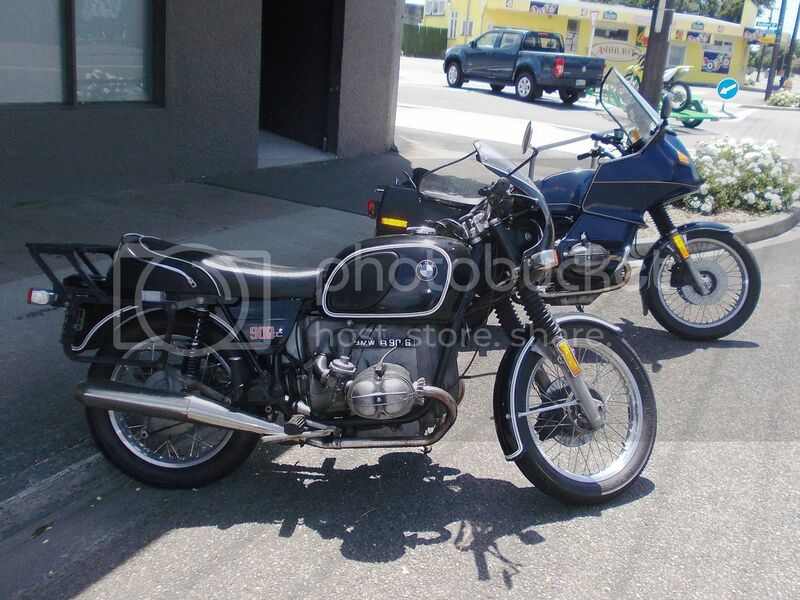 Whilst at the cafe I bumped into another BMW rider with an 1974 R90/6. Now being 40 years old it qualifies for the much cheaper registration. About $150 for a full twelve months whereas I have to pay $137 just to register it for 3 months over summer. I usually finish up registering it for about 6 months, but it means I still miss out on a ride on those nice sunny days we sometimes get in winter. Oh well only ten years to wait !! Here are a few pictures of buses and coaches I have gathered over the years. A 1950 Leyland Comet I saw parked in Masterton a few years back. I have shown this photo before. 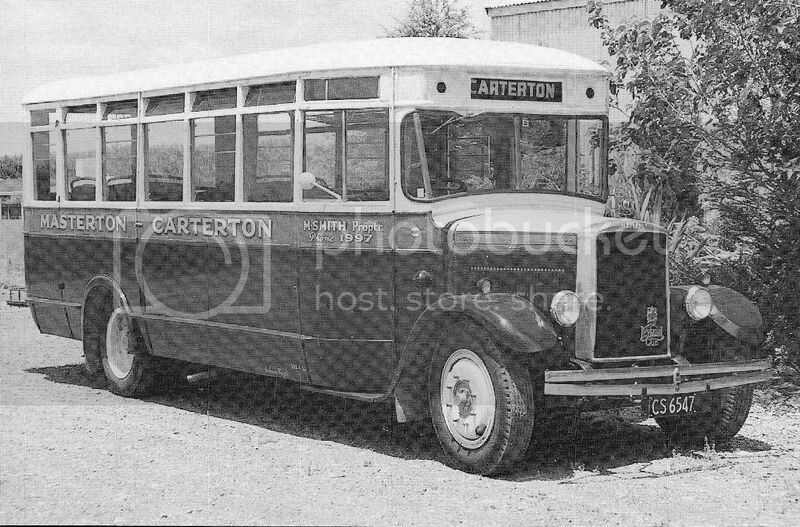 It's the unrestored original condition 1934 Leyland Cub which use to do regular Masterton to Carterton runs for Martin Smith up until about the late 60s. 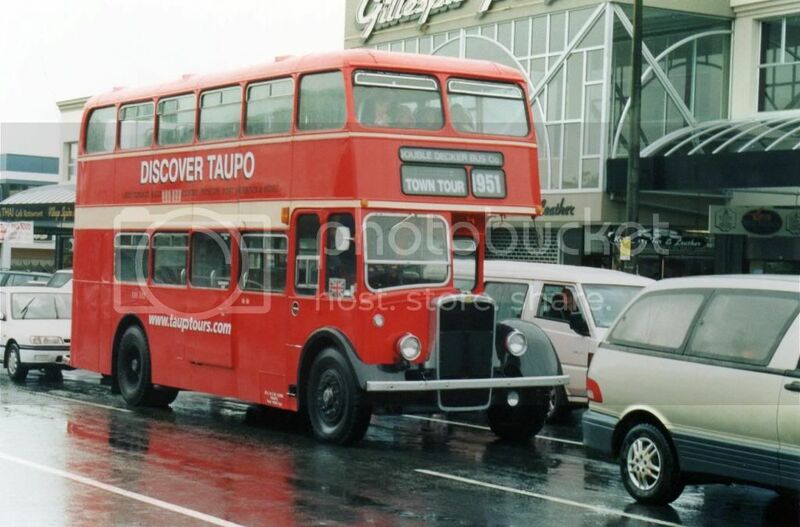 I believe this bus is now in a private collection in Hawke's Bay along with others of Martin Smith's buses. Nicely restored Bedford SB. 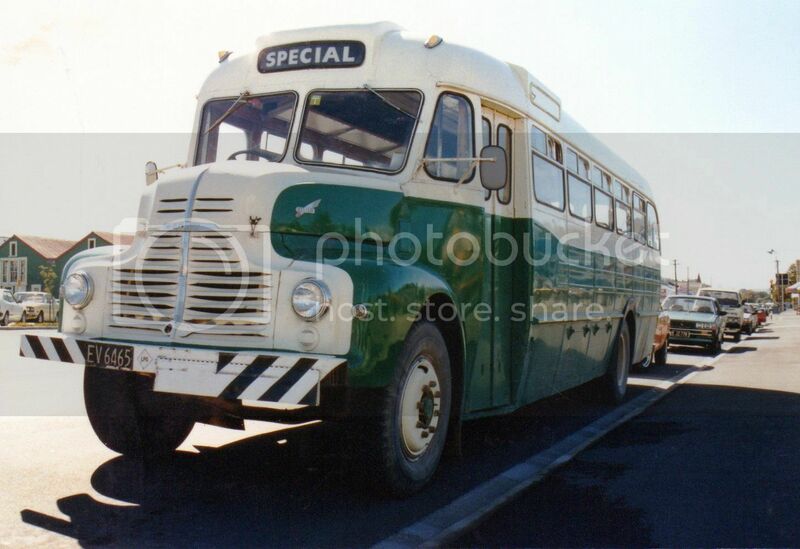 The SB of course being the bus version of the S Bedford truck chassis. 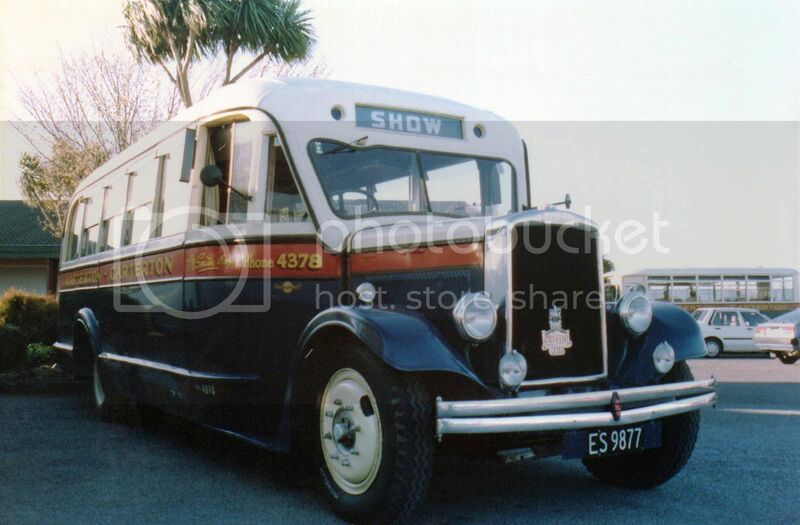 This VAL was the biggest in Bedford's front engined series introduced in the 60s and the first chassis to be designed as a bus/coach from the ground up and not based on an existing truck chassis. It was unusual in the fact that it was mounted on 16" wheels to keep ride and entry/exit height as low as possible. As it was designed to carry as many as 55 passengers it was produced as a twin steer to spread that load over 4 tyres at the front. 16" tyres not having as high a weight rating as the more common 20". The pictured vehicle and its identical sister, was operated by NZ Scenic Tours on tours of the Auckland area. 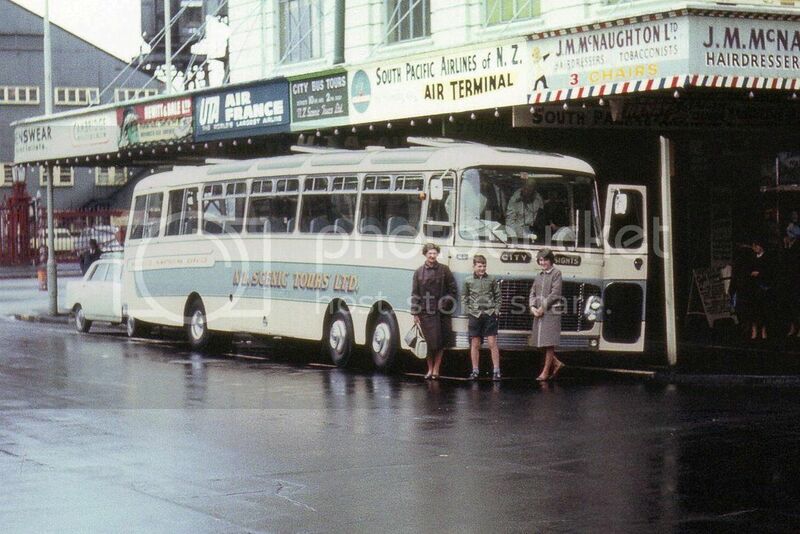 The picture is taken at the bottom of Queen Street in Auckland in the early 60s. The handsome young fellow at the front of the coach is me with my mum and big sister. 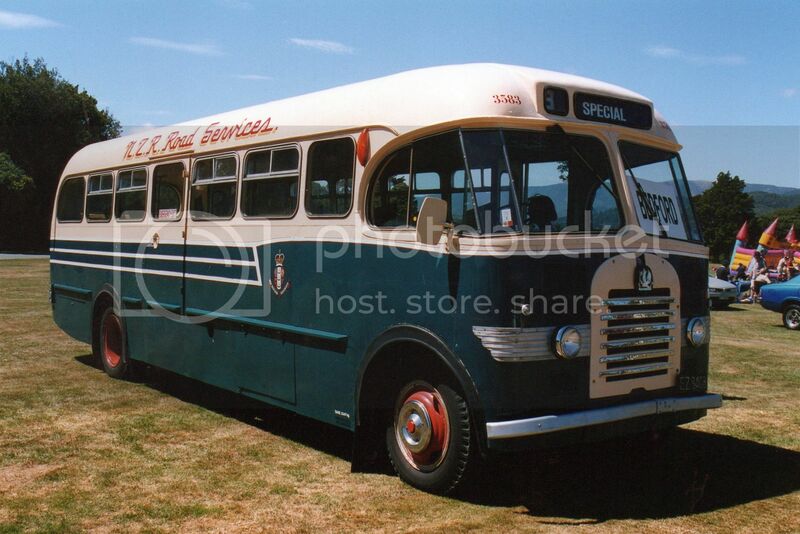 A 1951 Bristol K double-decker on scenic trips in Taupo. A friend recently sent me a brochure containing this picture of Martin Smith's other Leyland Cub. This is also in the hands of the same collector. Although the chassis is of a similar year to the other Leyland, the body is from 1925 and was transferred from an older chassis on to this one. 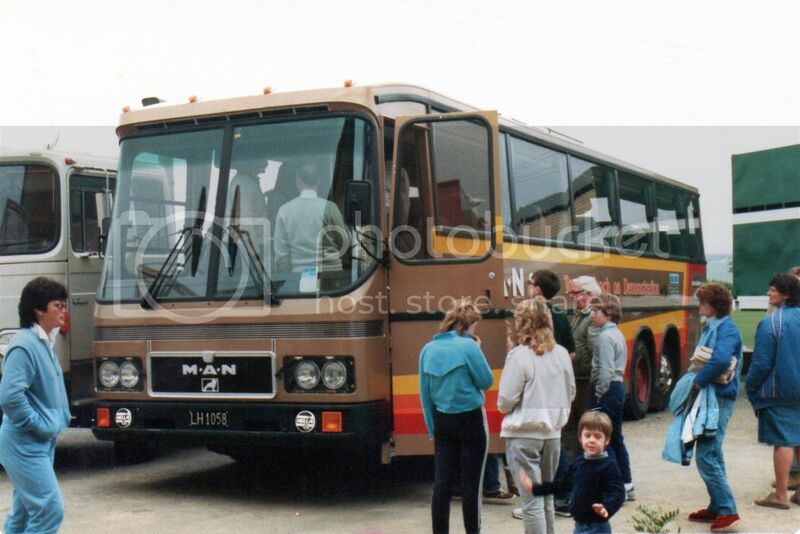 This MAN coach was a demonstrator at a road transport operators convention in Masterton in the 80s.